When it comes to cleaning your kitchen floors, there’s a right and a wrong way to do it. Mops are not considered the most exciting household appliance, but then again what cleaning tool really is exciting? The majority of the population would not spend hours researching the ideal type of cleaning equipment needed to swipe up some spilt milk on the kitchen floor, but is this something that should be done? Before you decide to mop your floors, make sure to get rid of dirt and dust particles that can scratch your flooring– especially if it’s wood or laminate. You can use a broom with gentle bristles or a vacuum cleaner that has good suction power. You really shouldn’t expect miracles from mopping if you haven’t vacuumed your floors first. For more Top Vacuum Machines, you can click and see more reviews to choose one fit you best. There are dozens of different mop styles that you can choose from nowadays, but basic mops with removable heads are still the best. Mops with cotton fibers can easily attract dirt, but they can also let go of it when it comes time to rinse the mop. If you need, you can see best sale dry/wet use mops at our special page. Some people use their kitchen sinks for mopping, but due to the potential for cross-contaminating food, fill a bucket with lukewarm water instead. Always use detergent that’s appropriate for your flooring material and won’t cause lasting damage. Make sure to read the instruction label on the detergent to ensure you’re using it properly. 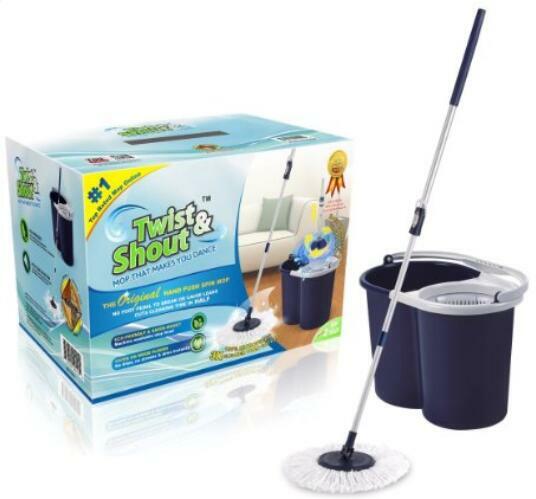 This is a Self-wringing mop that easily spins dry with a gentle push on the handle. Hands stay dry, no bending, and cuts cleaning time in half. 54″ long handle. Super absorbent microfiber mop head. That’s why about 3 thousands people like it. When you’re doing the first round of mopping, you need to employ slop mopping which means getting your mop wet and not wringing it out. The basic idea is to get your floor as wet as possible and to loosen dirt and stains in the process. Once you’ve covered your kitchen floor with water, it’s time to mop a second time. During the second mopping, you will need to empty the water and replace it with clean water and no detergent. You will wring out the mop as you use it to clean up the water already on the floor. Use deliberate back and forth motions to ensure it dries evenly. When you’re done mopping, let the water dry naturally. To speed up the process, open your windows for natural airflow. Is it not imperative that some information be reviewed and deliberation be taken when opting for cleaning equipment? Think about it, that item will be the item that removes grime from your floor. It is the item that removes the health hazards from the walls. Should it not deserve some attention beyond a mere glance at what looks the easiest to manage? Nest in this article will provide information on the different considerations to make when choosing a kitchen mop. The primary consideration when purchasing any item is the cost. Many people are working on budgets in today’s declining economic situation and household expenditure must be adapted accordingly. While more expensive kitchen mops will be of higher quality, the less costly ones may be as useful without dipping deep into your pocket. It is recommended that you draft a budget noting what the maximum amount is that you are willing to spend on a kitchen mop. Try to remain within this limit, despite temptation, and compare prices from different stores to find that ideal investment. You can use 10 minutes to clean your kitchen floor. To wash the downstairs bathroom, hallway, and kitchen (all tile) just need to fill it up 2-3 times. 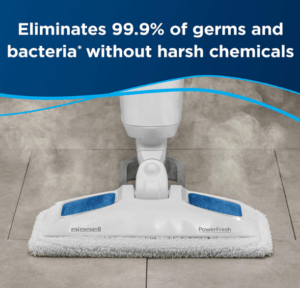 You have chosen a mop that has a strong performance rating and is of a reasonable price, but this will not determine its overall effectiveness as a cleaning tool. 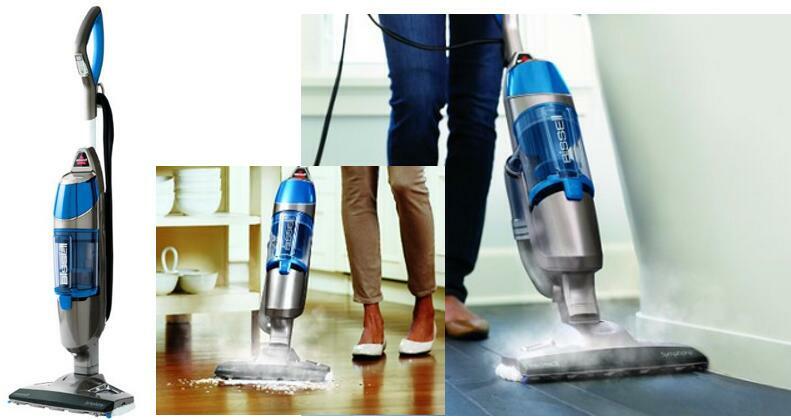 Effectiveness of a kitchen mop is dependent on the materials used to create the mop and its application on the specific floor surface. Smooth flooring, such as hardwood, tiles, and vinyl floors, are prone to abrasions and would benefit from cotton or microfiber mops. These lighter fabrics are easier to use for scratch-free cleaning. Rough floor surfaces, such as concrete and stone, are able to withstand more abrasive fibers and will benefit from heavier materials like a cotton/rayon mix. Finally, the type of handle should be taken into consideration. Kitchen mops present with either wood or plastic handles and while the choice is often based on personal preference, there are associations which impact application. For example, the plastic handles are easier to manage when completing larger jobs as they have less strain on a person’s hands; whereas, wood is better for smaller clean-ups. It should be noted that wood may be more useful in smaller cases, such as a kitchen mop, but it does have a risk of splintering if used for extended periods of time. 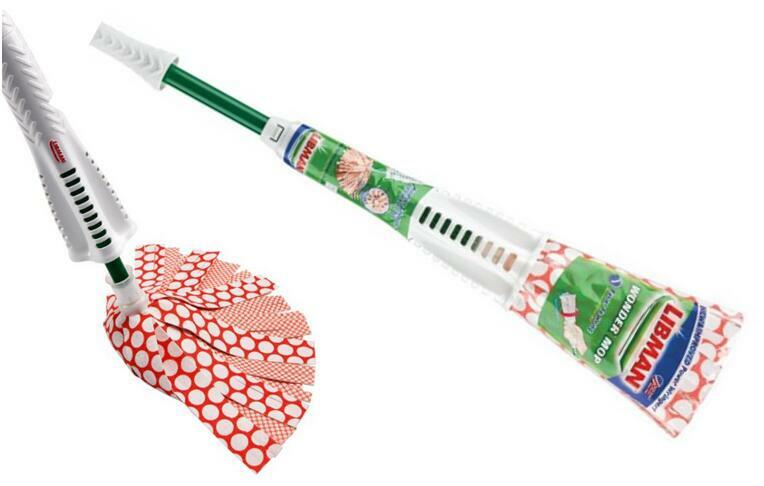 This Libman Wonder Mop absorbed the milk and cat spilled all over the kitchen floor, make your kitchen clean easy and simple.